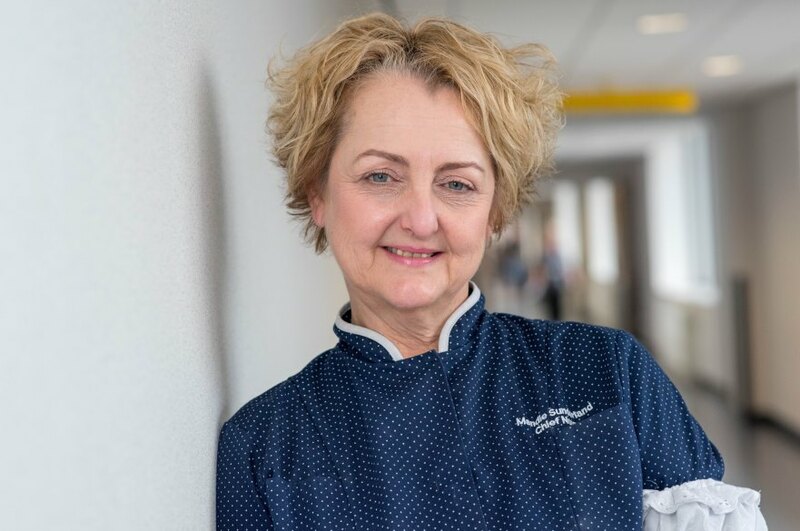 Chief Nurse at Nottingham University Hospitals NHS Trust, Mandie Sunderland has been made an Honorary Professor at Nottingham Trent University. Mandie has been Chief Nurse at NUH since 2015, having previously held Executive Director positions at five other acute Trusts in the West Midlands and North West of England. As an Honorary Professor, Mandie will continue to work with the university, collaborating on innovative teaching and research in the School of Social Sciences and School of Science and Technology. Mandie developed a keen interest in education and training while working as an intensive care nurse. This led to her achieving a Post Graduate Diploma and securing roles in both clinical and practise development. Mandie’s innovative approach to nursing development was commended by Professor Barnett, who said: “Mandie provides exceptional leadership which is acclaimed nationally, and recognised internationally, to promote the role of the nursing profession and to support innovative approaches to training and development. The Institute for Nursing and Midwifery Care Excellence brings together NUH’s training, education, professional development and research programmes for nurses and midwives. Read more about nursing and midwifery at NUH here.